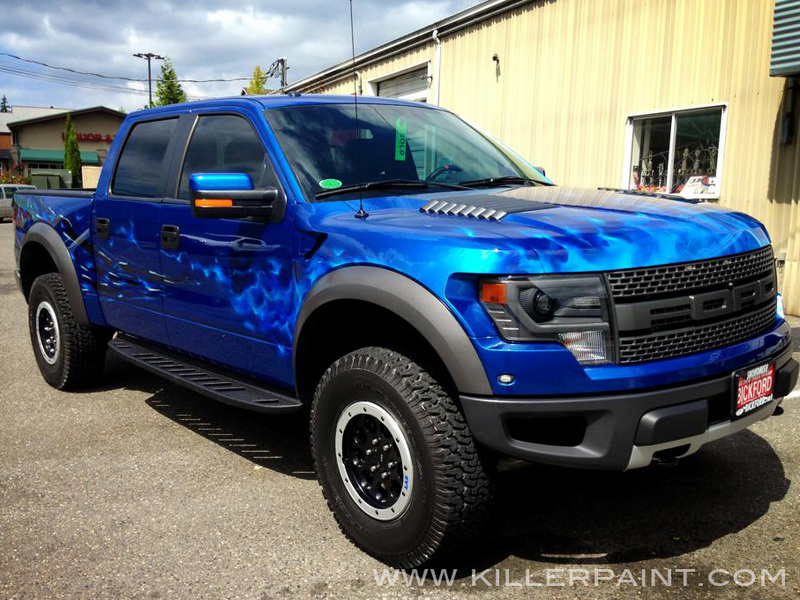 Back in 2013, a client brought their brand new Ford Raptor to Killer Paint for some custom paint. 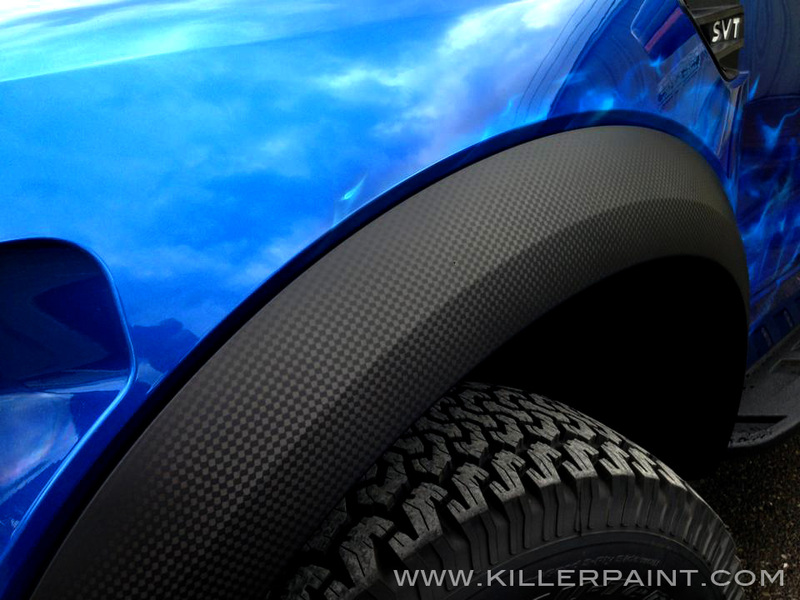 The stock blue color of the truck is already quite vibrant, so there was no change to the base coat paint. 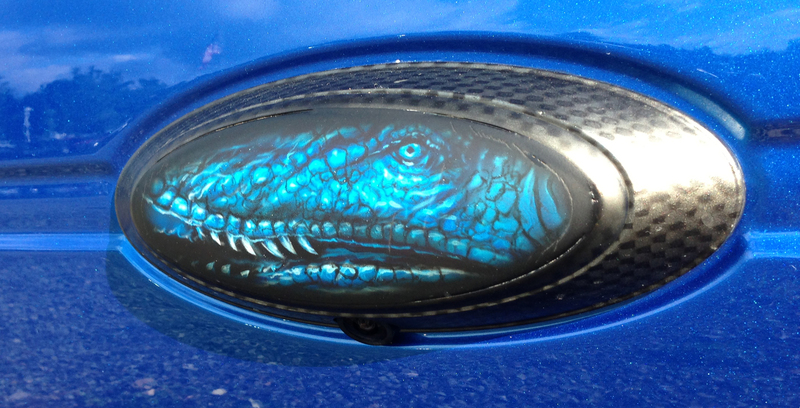 For the front end artwork, the truck got some pretty straightforward True Blue fire, running off the front of the hood and off of the front wheel wells. 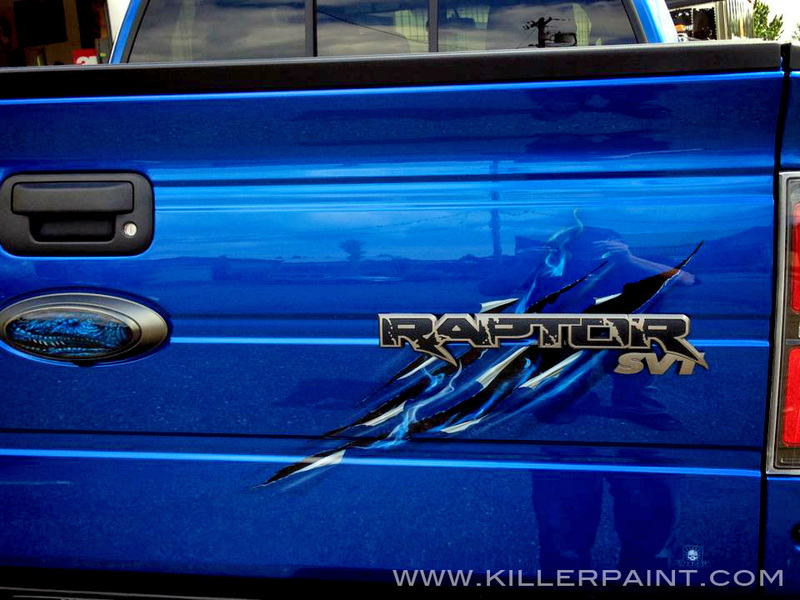 On the truck bed, the stock Raptor logo and graphics decals were removed, and Mike painted some faux shreds down each side, running from the tail lights, and tapering off toward the middle of the cab at the front doors. Some smaller licks of blue flame trail back from the front end down the sides, and even more fire flickers out of the dark openings in the shreds. The shreds and fire interweave from opposite directions to combine into a larger overall design that stretches the entirety of both sides. 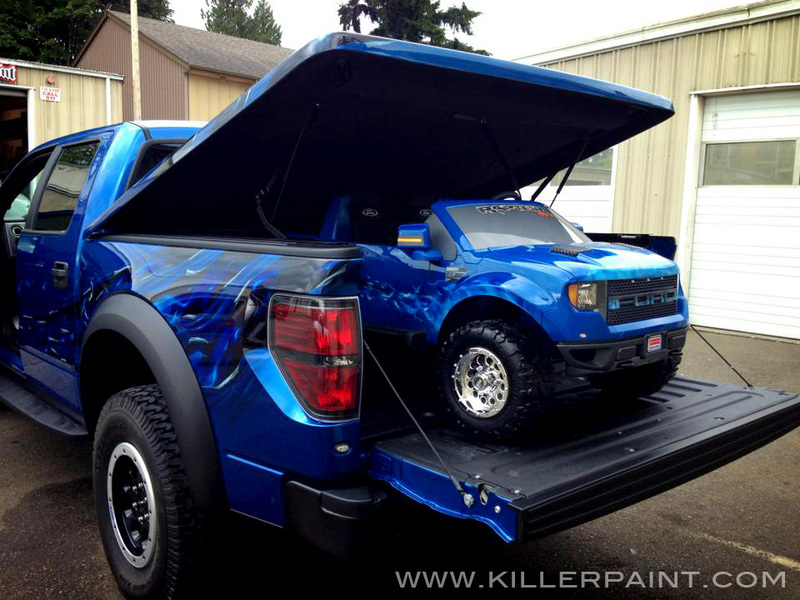 The customer picked up his newly painted Raptor and left happy. Little did anyone know that this wouldn’t be the end of this blue beast’s story. It would be back… with company. 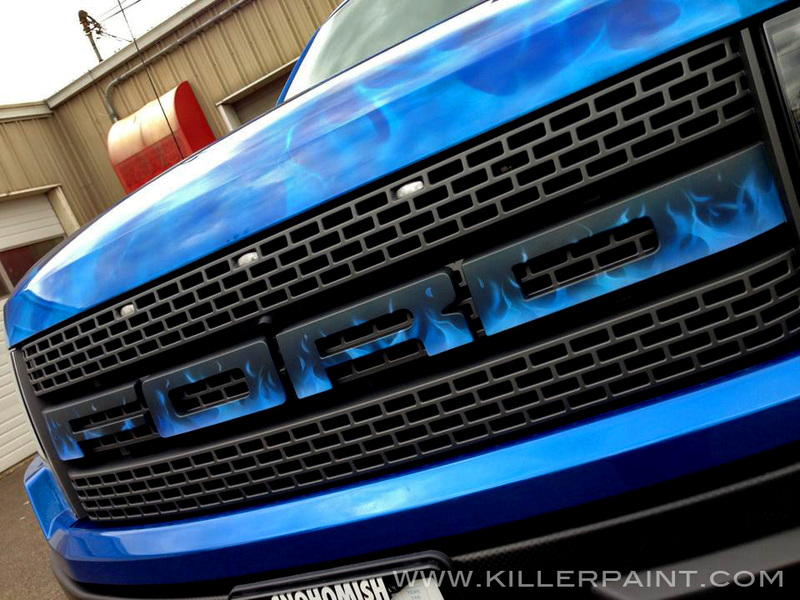 When the Raptor’s owner returned to Killer Paint, he wanted to have the Ford lettering on the grill painted with some True Fire™ as well. A pretty simple addition. 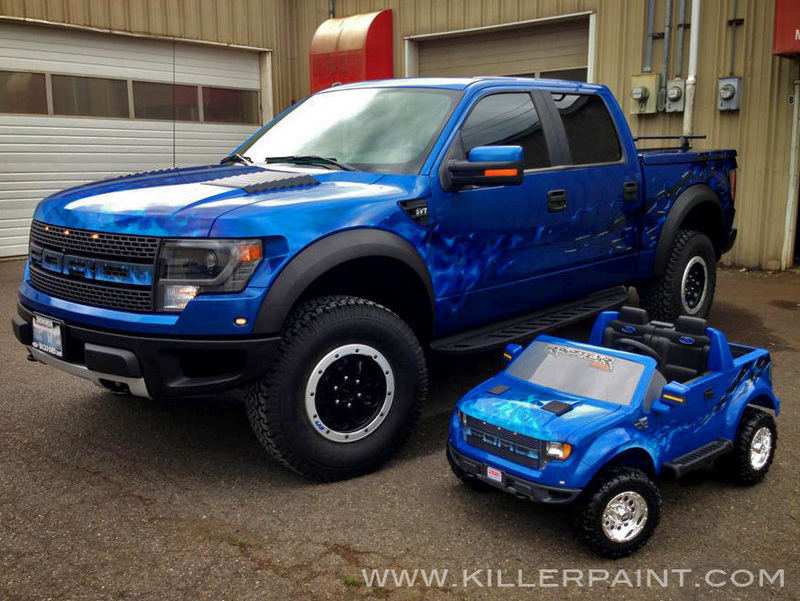 When all is said and done these two trucks make a pretty badass (yet adorable) pair. 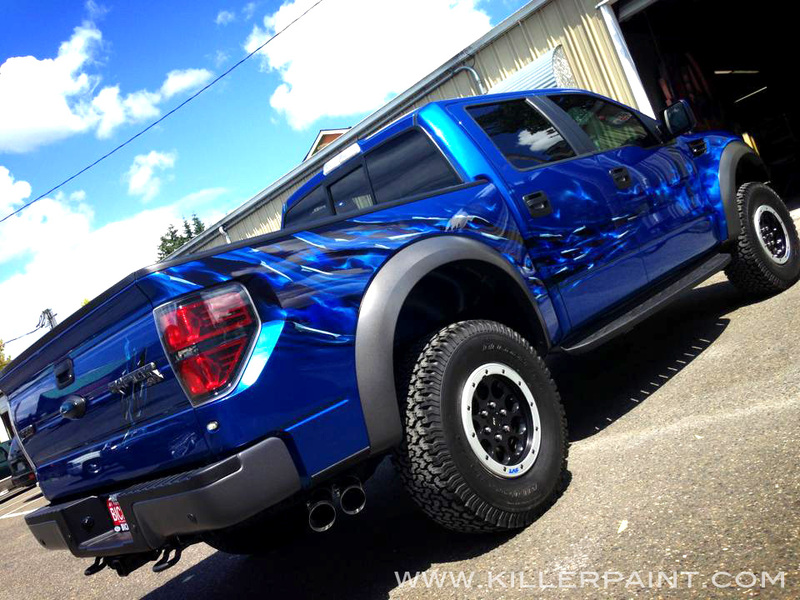 The Bickford Ford Dealership, where this Raptor was originally sold, has a small post about this project from 2013 on their blog as well. 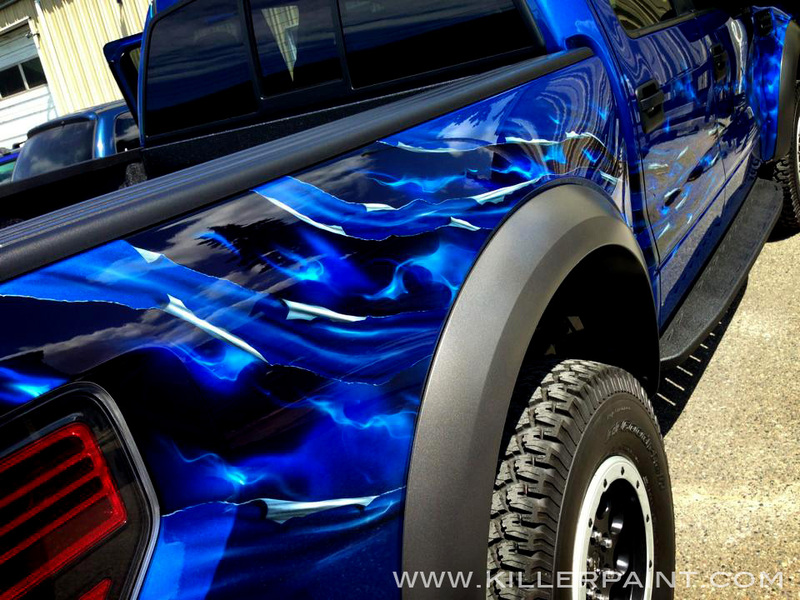 Click here to view it, and additional photos of this truck.